Adapted from “Mojito” Fruit and Yogurt Plate Vegetarian Times, Could 2008. Merge the fruit jointly in a big bowl. 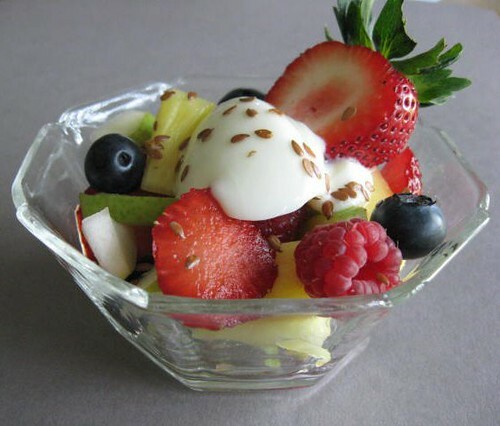 Divide fruit among the specific bowls. Major with a dollop of yogurt. Sprinkle with flax seeds and cinnamon.